Oh, how I love Thanksgiving! Perhaps it is cliche to say that. Perhaps it is cliche to say how much I enjoy a plate of turkey, gravy, filling and cranberry sauce. Perhaps it is cliche to say "I Love Pumpkin Pie!" But, I do! Perhaps it is cliche to say I love sitting down at my parent's table and looking around at the people gathered together: my parents, my brothers, my sisters-in-law, my nieces and nephews, my husband and my sons. Perhaps it is cliche to say that I really am thankful. I am so incredibly blessed. And for that I am thankful, sincerely thankful. Perhaps it may be cliche...but it is also true. 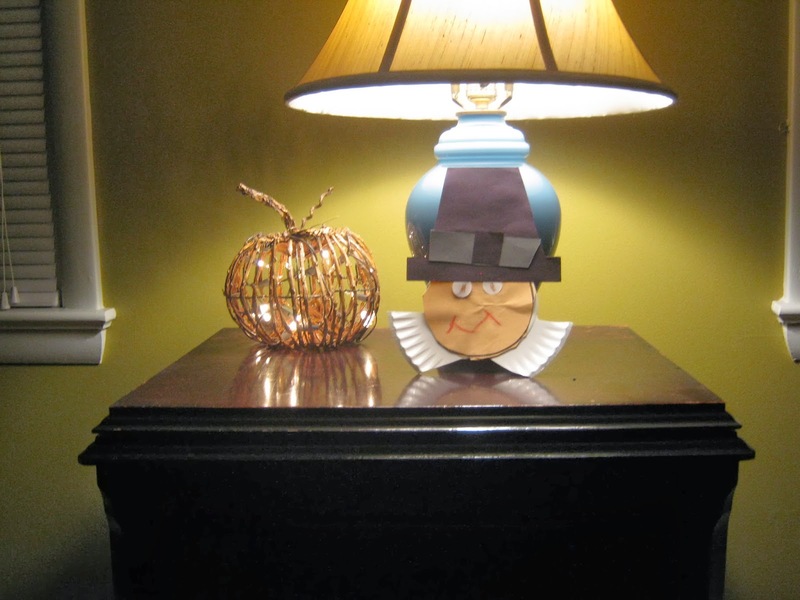 Side note: I am really thankful that my sons are looking forward to Thanksgiving. They have yet to utter a word about Christmas or making a wish list. I wouldn't mind if they were looking ahead to Christmas. That would be normal. 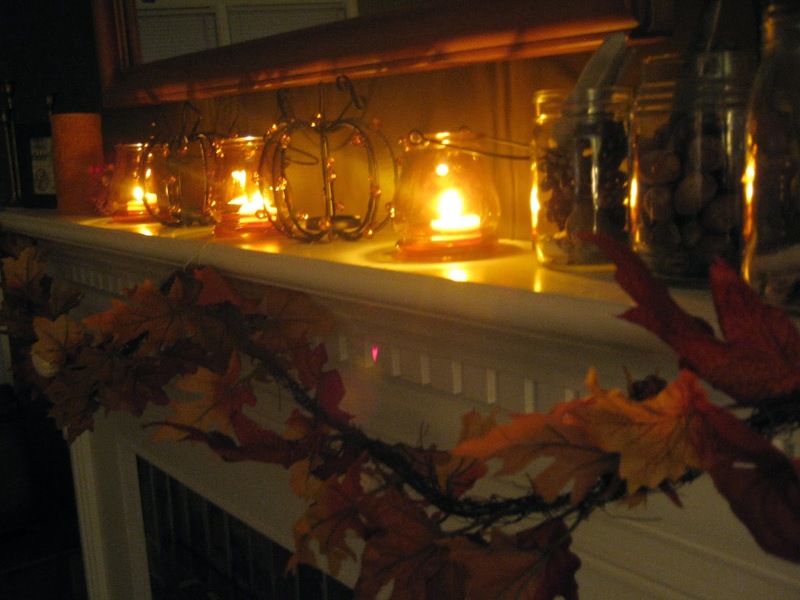 But, I just love that they aren't seeing Thanksgiving as a speed bump between Halloween and Christmas. Makes me proud to be their mom. Well, this week I had a light bulb go off in my head. Every morning from 8:50 - 9:10, I am standing outside the preschool where I work unloading cherubs from their minivans and escorting them into their classes. It is from this sidewalk that I enjoyed, no reveled, in the lingering Hunter's Moon of October. It is on this sidewalk that I soak up fresh air before heading into a room full of 4 & 5 year-olds. It is from this sidewalk that I have been enjoying watching the leaves changing color on the trees that stand so grandly in the woods across the parking lot from me. 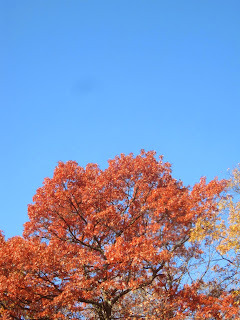 It has been a highlight of my morning to look up and just stare at the orange leaves against the bluest skies. And that's when it hit me! I've seen this sky before but only in a photo (see Autumn Fire above). So, I made a point to bring my camera to work with me yesterday to try and capture this vision before it changes to just bare limbs against the sky. I owe my friend an apology for assuming her photos were "doctored" if only the slightest bit. I'm sorry, friend. AND I owe my friend a thank you. For, I have learned through her photography that even though I am not the skilled photographer that she is, I am capable of doing something she does. And that is to stop every once in a while and look up. For it turns out that we do have incredibly blue skies over Virginia. Just like the ones in Maine. Amazing. Thank you, friend.